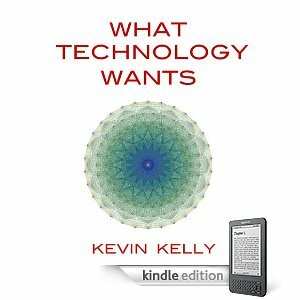 I’ve promised that my recent book, What Technology Wants, will be my last paper-native book. From now on my new books will be born digital. At the same time I am trying to move my existing books into as many ebook formats as possible. I am discovering this is easier said than done. Standards are slippery, conversion tools are sloppy, and there is much hand crafting and tweaking needed. Camille Cloutier spent two weeks migrating a PDF version of What Technology Wants into a Kindle version. My publisher Viking/Penguin had previously created a Kindle version, but you could only buy that one in the US (since they only owned the US rights to the book). An international Kindle version of What Technology Wants was unavailable to anyone who lived in the rest of the world. If you resided outside of the US and tried to purchase the Penguin copy that shows up on Amazon.com, you would be told it was unavailable. I got a lot of mail complaining about that, and finally decided to produce it myself. You can get the UK Kindle version of What Technology Wants here. In other countries the appropriate Kindle version should show up in your local edition of Amazon. The particulars of producing a Kindle book from a PDF are so cumbersome that you may need some help doing yourself. Camille posted a report of what she learned from this process on our Screen Publishing blog. Let us know if you’ve found a better way.